Agility is a dynamic dog sport where a handler directs their dog through a course made up of obstacles including jumps, tunnels, weave poles and contact obstacles such as a dog walk. What types of dog can do agility? 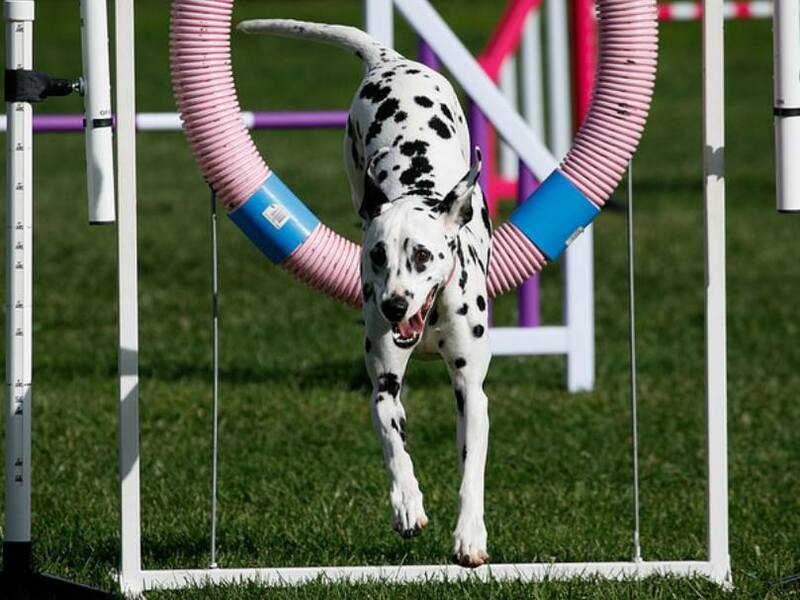 A wide range of breeds and sizes of dogs can participate in agility. Dogs need to be fit, healthy and obedient to the handler. Classes are held on Wednesday or Thursday nights, depending on instructor availability and participant numbers. Put your name down on the Agility waiting list, which can be found in the club office or speak with your obedience instructor to put your name on the list. The handler must be a current financial member to participate in agility. You will be contacted by the agility manager with information on the next intake. 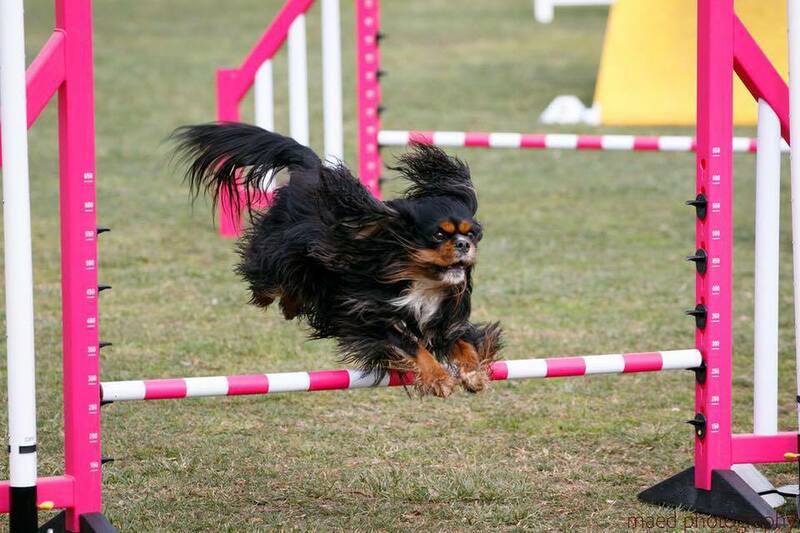 Participating in agility does attract an additional activity fee. If you are not a current member of the club, and would like further information on joining our agility classes, please contact the club. Agility is an exciting, energetic, fun dog sport that allows dogs to exercise their brain, as well as their bounce, all while improving the working relationship between dog and handler.